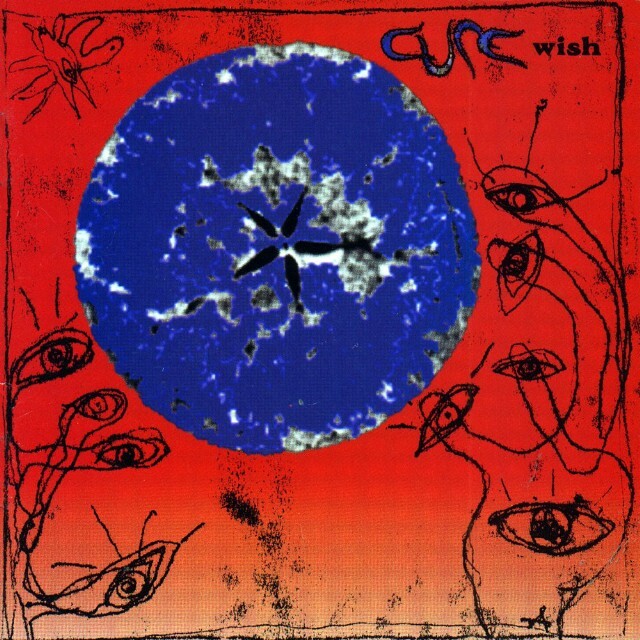 This review of the Cure’s Wish—released on April 21, 1992—originally ran in the May 1992 issue of Spin. In honor of the album’s 25th anniversary, we’re republishing it here. For Record Store Day (April 22) in the U.S., the Cure will release special vinyl editions of their 2001 Greatest Hits and Acoustic Greatest Hits collections. Sob, sob. Whimper, sniff. Sorry. I was just savoring the new Cure disc, which means taking a headlong plunge into a deep, dark pit of despair, with no hope of relief. Or does it? Fitting comfortably into the category of Another Cure Album, Wish makes it hard not to stereotype Robert Smith and his band of “merry” men: The sad melodies and pathetic subject matter, amplified by Smith’s morbid vocals, offer the ultimate in exquisite pain. They’re so down it’s almost funny. Hmmm…. Could the Cure be one big joke, an elaborate spoof of self-indulgent angst? Not a chance, although the band does have a playful side, especially in its videos. On-screen, that unholy nest of hair and living-dead pallor transform Smith into a perverse cartoon character, rather than the crooning undertaker he seems to be without visual aids. Finding the fun in the dense textures of Wish is tougher, since almost every track wallows in the agonies of shattered relationships. For those who keep score, Smith plays the rejected in three songs and the rejector in four, while lovers split by mutual bitter consent on two others. Sigh. At least give him credit for finding lots of different ways to convey the same sentiments. Shimmering and predictable, “Trust” and “To Wish Impossible Things” encourage hand-wringing and underscore how conventional the band’s outlook really is. Happily. “Wendy Time” steps up the pace, prompting Smith to strut and growl like the feisty little punk he was back when the Cure began in the late ’70s. “It doesn’t touch me at all,” he bellows in response to a woman’s come-on, furiously stomping a wahwah pedal for emphasis. Boosting the noise content, Smith digs deeper into this vein of anger on the howling “Cut,” an explosion of ill will and feedback that finds him snarling, “You don’t care anymore.” Open resentment (instead of the usual teary regret) equals increased thrills. Now that’s entertainment! Unfriendly souls might imply that the Cure always sounds the same, which is a filthy lie. However, the lads can claim a highly distinctive style, and more than a few bands have taken a cue from (copied, if you like) Smith’s good thing. Maybe he should consider nicking somebody else’s ideas, just to add variety to the recipe. While you can admire the passionate guitar riff that drives “From the Edge of the Deep Green Sea,” or shiver to the ominous vibes of “The Big Hand,” Wish doesn’t resonate beyond its own limited atmosphere. Robert Smith isn’t lazy, but he’s extremely conservative. The boy needs some fresh air. Or a kick in the behind. Whatever it takes to shake him up.